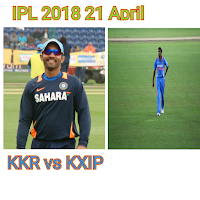 Today 18th match of vivo IPL 2018 will be played between KKR and KXIP in Eden Gardan Kolkata . Match will start at 4:00pm IST. Both teams are in good position after winning previous match. Let's start see team arrangement, preview and prediction. Chris Lynn, Sunil Narine, Robin Utappa, Nitish Rana, Dinesh kartik (c,wk), Andrew Russell, Dushman Gill, Tom Curran, Piyush Chawla, Shivam Mavi and Kuldeep Yadav. Lokesh Rahul(wk), Chris Gyle, Mayank Agrawal, Karun Nayar, Aaron Finch, Yuvraj Singh or Manoj Tiwari, R Ashwin (c), Andrew Tye, Brindar Saran, Mohit Sharma and Mujer Ur Rahman. Chris Gyle had scored 532 runs against KKR in all IPL matches in which he had 1 century and 3 half century. Sunil Narine has got 24 wickets in just 13 matches against KXIP in IPL. 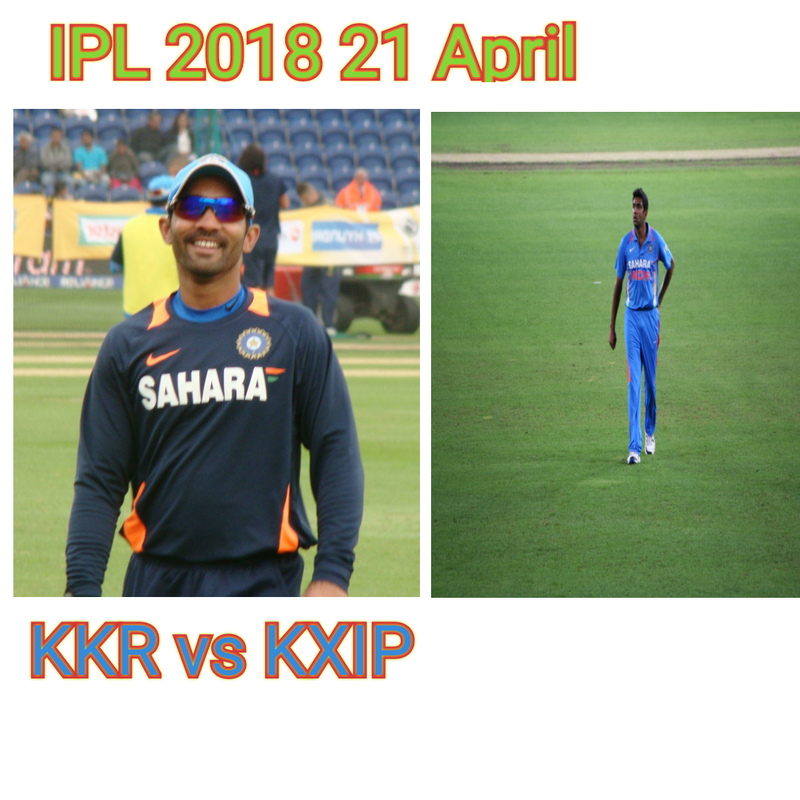 Bating pp of KXIP 10.29/over is greater than KKR 9.47/over. After looking this preview it seems KKR was stronger than KXIP in previous IPL's but currently scoring rate of KXIP is greater than KKR. After loosing toss KKR bated first and scored 191/7 in 20 over. Chris Lynn 74 of 41, D Kartik 43 and Robin Utappa 34 played great inning. KL Rahul and Chris Gyle started the inning of KXIP. Before match stopped KL Rahul (46) in 23 delivery smashed 7 4s and 1 6s. Chris Gyle (49) in 27 delivery smashed 5 4s and 4 sixes. Match stopped now due to rain in 8.2 over at this time KXIP 96/0. Match started again .Match reduced to 13 over and winning target 125runs. KXIP won the match by 9 wicket.